This includes our Match Activities* (green), Volunteer Trainings (purple) & Big Future Events calendars (yellow). Click on any event to see more details. Click on the arrow next to Agenda if you'd like to only see a certain BBBSNEI calendar. *Match Activities provide a safe, fun, and free environment to get to know your Little. The activities allow you to socialize with similar Bigs and Littles while try new things or honing your skills at things like arts and crafts, cooking, fitness, music, or athletics.  Big Brothers Big Sisters hosts some activities but also partners with groups, agencies, and companies in the community to give each match something new to try. At each Match Activity the unmatched Littles on the Waiting List are invited to participate to keep them engaged in Big Brothers Big Sisters and to learn more about them so that we can find their perfect Big.